When you ask retirees about the key attributes in selecting a place to live, several answers are frequently on the list. A great quality of life, safe & relaxed atmosphere, affordable cost of living, plenty of attractions & activities of all sorts, moderate weather, and “spoiling the grandkids” are all popular factors that determine where senior adults choose to settle. With the possible exception of the grandkids, Sanford and Lee County checks off every box. Our climate is a major appeal for many new arrivals … considerably warmer than communities in the northeast and midwest, but moderate enough to provide a timely taste of all four seasons. Our geographic location also has a “goldilocks” quality to it. 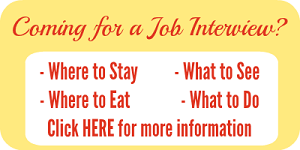 We’re close to the hustle & bustle of the Raleigh-Durham Triangle area and Fayetteville/Ft. Bragg, but far enough away to experience a more manageable cost of living. Housing dollars go considerably farther in Sanford. Sanford offers its residents a charming and engaging downtown area, filled with friendly local retailers, interesting shops, lots of community activities & events, and plenty of reminders of its past as a bustling railway community. We enjoy a vibrant theater & arts scene, lots of great dining choices and hundreds of locally-owned and nationally-based businesses of all types and sizes. 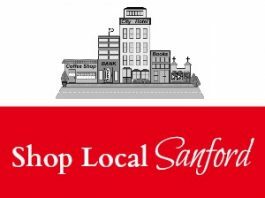 For a full list of area local businesses, please visit our sister website, Shop Local Sanford. For retirees who want to stay active and involved, our community has dozens of social groups, charitable organizations, service groups and churches who always welcome the involvement of new members. The Lee County Enrichment Center always has a full selection of continuing education and enrichment classes, ranging from health, wellness & nutrition tips, to financial planning, as well as arts and entertainment courses. When it’s playtime, you can’t beat Sanford and Lee County. Our region is filled with plenty of parks, recreational activities, fitness centers and the stunning natural beauty of Jordan Lake, the Cape Fear River and much more. Of course, for many residents, golf is at the top of the leisure list. Carolina Trace Country Club offers an award-winning golf course, full amenities and even a gated community for area residents. The amazing Tobacco Road Golf Club was recently honored by Golf Course Architecture as #50 in their ranking of the world’s Top 100 Golf Courses. Quail Ridge has a player-friendly layout and homes conveniently located adjacent to the course. In addition to the other handful of courses in the immediate Sanford area, local residents are a short drive away from Buffalo Lake and the many legendary courses in the Pinehurst and Southern Pines communities. Sanford takes pride in being a health-conscious community. In addition to our acclaimed local hospital Central Carolina Hospital and a full compliment of dedicated health care professionals, area residents are also an hour or less away from 4 world-class hospitals that are based in larger nearby cities. Lee County is also home to rehab & nursing facilities, as well as assisted living and retirement homes, if those needs should arise. When it’s time to consider the ideal retirement community to relocate to, you can’t beat Sanford and Lee County. If your grandkids don’t live nearby, there’s even a very good chance they’ll be eager to visit you here!